Although a lot of “work” has gone into this image, nothing has been added – this is the amazing sky we can all gaze at in wonder when we can get far enough from the invasion of light pollution. Of course, our eyes can’t see all the colour – cameras and long exposure times allow us that wonder. We are able to see things that almost no generation before us has been able to. 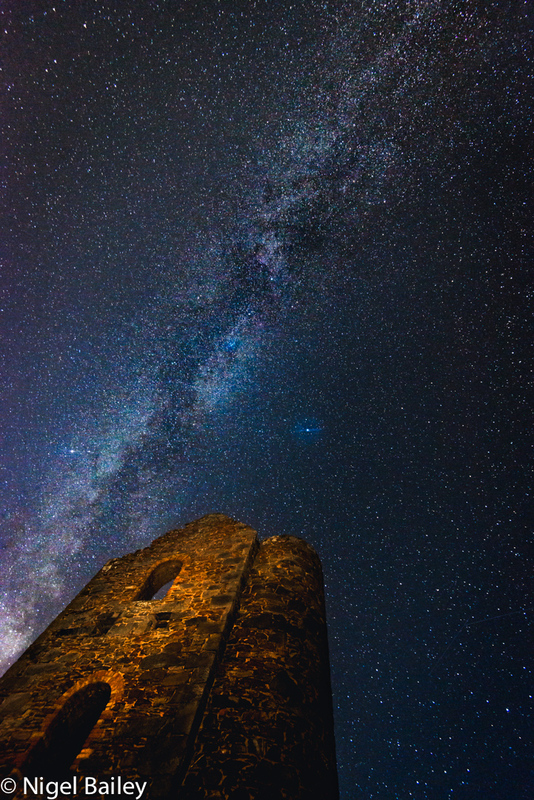 The people who worked in this tin mine (Wheale Coates) will have worked in a less splendid darkness, but when they looked up at the night sky, they will have seen so much more with their naked eyes than most of us will ever do. When I manage to find an hour or two I shall do a couple of posts – one on how the shot was taken, and another on how it was processed.